Last year I treated myself to the extra large bottle of Dior's J'adore just so that I could have the marvellous gift box with the magnetic clip! Finally I have had time to work on it just in time for a friend's birthday. Inspired by the work of Giovanna Zara and her blog, Scrap in Progress, I set to. 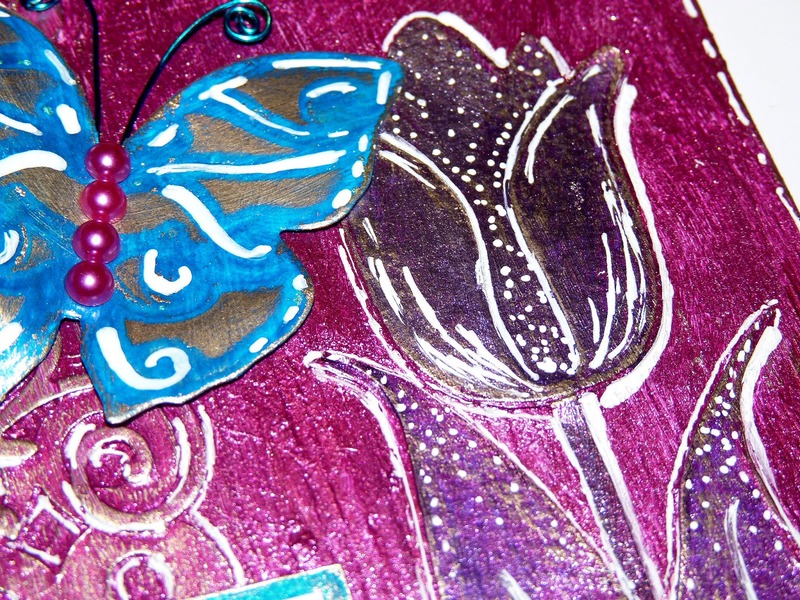 The first stage was sticking on die cuts and embellishments, giving it all a coat of gesso and then using Dylusions ink sprays to create a coloured base. I added a little yellow and orange paint to the base layer and the box was dry brushed with white paint to knock the colours back a bit and create some highlights. I used Viva Decor Maya Gold paints to bring out the letters and using a sponge, added a slight shimmer over the whole box. Further highlights were added with gilding waxes. Et voilà! 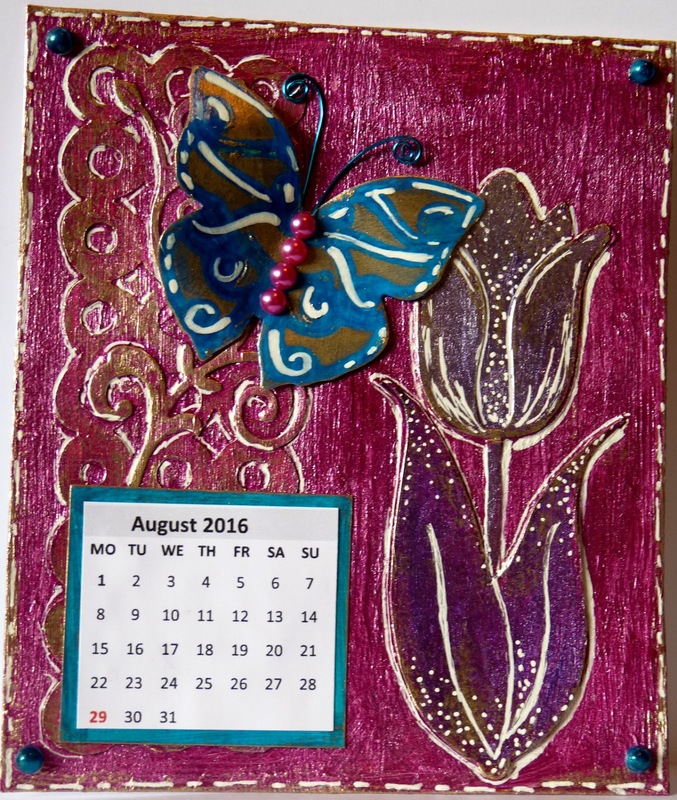 This month's theme on The Craft Barn calendar challenge is Pink and Butterflies. I layered die cuts to make the background then painted over with Maya Gold paint, adding detail with Treasure Gold and white paint pen. The paint is so metallic and glossy it's hard to capture how rich the colours really are. I'm not usually a big one for die cutting as the main focus of a card, but recently I bought some bargain dies and thought I'd see what I could come up with. First a watercoloured background using Spectrum Noir Aqua markers. 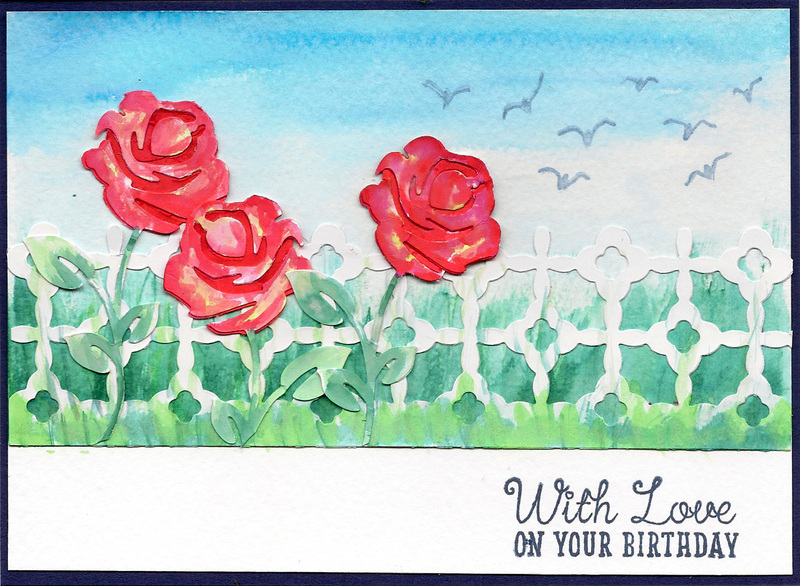 Then colouring the die cut roses and the border. 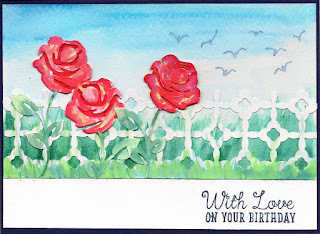 I layered up the roses as I didn't really want the gaps. 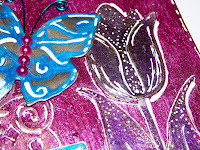 As it does feature colouring I'll enter it in to The Craft Barn weekly challenge using colouring / pens. A quickie for the weekly challenge over at The Craft Barn, where the theme is Pens! I stamped the main image and masked it using masking fluid. 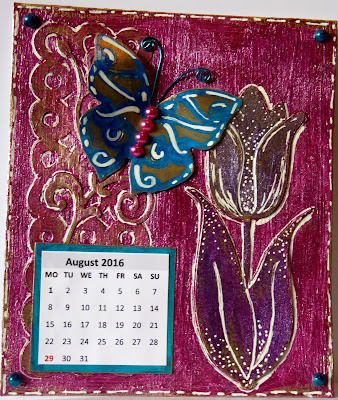 The background is created with Distress Ink and the hearts and spirals were stamped on top. The masking fluid was gently rolled off and the images coloured with Promarkers.